Each day the presentation will last approximate 1 hour. Dr. Greenberg certified LIFE Trainer will help you understand the pathways of disease and how to utilize The L.I.F.E. System to understand these pathways.Expect many case studies and “nuggets” of valuable information.A total of 6 hours of training with Dr. GreenbergThis is very limited promotional rate. 6 hours of training with Dr. Greenberg for only $75 USD. A focus on the mental/emotional aspects of your clientele. Learning to identify the emotional invasions of self and others which unknowingly disturb energies in your system. Hidden blockages must be removed for full vital functions. All this and more with The LIFE System. 3 hours Dr. GreenbergThis is very limited promotional rate. 3 hours of training with Dr. Greenberg certified LIFE Trainer for only $50 USD. As a top performing athlete Dr. Gustafson certified LIFE Trainer understand the need for correct detoxification. Using The LIFE System Dr. Gustafson will utilize the detox panels, discuss the dental issues and the brain panel to provide you with one of the best detox protocols available. This is very limited promotional rate. 3 hours of training with Dr. Gustafson for only $50 USD. Here we are in the month of June nearly half way through the year already! Once again, after yet another successful month, we would like to thank all our sales people out there for continuing to promote The L.I.F.E. System with such vigor. There is such a buzz within the Bioenergetic community.Sales with all these types of devices are growing at a tremendous rate.This is testament to the awesome benefits of Bioenergetic technology. Many of our sales come from individuals who have experienced other Bioenergetic technologies. Once they see how simple The LIFE System is to use - and after they speak to some of our existing practitioners - it is a sure sale.So now you know.Next time someone expresses an interest in The LIFE System ask them if they have experienced other Bioenergetic technologies.This is a tremendous sales tool! Thanks to all the other Bioenergetic technologies out there, the L.I.F.E. System proves to be the very best! Armed with the above information, consider participating in June's: "Win a LIFE System" Promo. Yes, that is right, any non-LIFE System owner stands a chance of winning a complete LIFE System with a value of $12k. As an existing LIFE System Practitioner, just give a demo during the month of June.Complete the demo form and you have a chance to win the much-anticipated LIFE Hardware Upgrade or the HBP 24/7 Prayer Program. Sell a LIFE System and double your chances to win! Costa Rica DVDs have been submitted to LIS for final approval, and as soon as these are ready, we shall let you know.Unfortunately of the 9 or 10 DVDs available there are 3 with an inferior sound quality. The good news is that we will reduce the cost of the DVDs. We hosted our first live Online Training that was nothing short of spectacular! Dr. Mark Gustafson, a certified LIFE System trainer, shared his basic protocols.Every attendee was mesmerized! Okay now this is important.. please read this slowly! Are you looking for extra training but not able to be out of the office for more than a day.Would you rather not incur the travel expenses (hotel and flights)? Perhaps our new Webinar service is for you! This month Dr. Sherry Greenberg and Dr. Mark Gustafson will be sharing some fantastic topics. More will follow soon! BROADBAND INTERNET CONNECTION (Cable or DSL). A TELEPHONE LINE. (For audio purposes — saves on the bandwidth). You can see the presenter on your computer screen — live and in real time. You can speak directly to the presenter. Hear other WEBINAR participants’ questions and comments. You will also see the various screens and presentations that are being presented. Who can afford a L.I.F.E. SYSTEM at around $12,000.00? Overall cost of an MRI machine is nearly $1 million.The machine uses a combination of radio waves and a strong magnetic field to create the computer-generated images of internal areas of the body. First of all I am not comparing the two modalities at all.I am just commenting on cost factors.$12k sounds like a whole bunch of money until you compare it to $1M. Or how about $7,000 for a stress test EKG machine, $24,000 for a Hematology Blood Analyzer, $52,000 for a portable ultrasound machine, $6,000 for a defibrillator, $15,000 for a patient monitor, and on - and on? The average physician can invest over $300,000 in basic equipment and not even bat an eyelash.The real question is what is it that separates the L.I.F.E. SYSTEM from the basic monitoring equipment we see in the doctor's office. In case you thought I was going to quiz you - you're wrong - I'll tell you the answer if you don't already know it. The L.I.F.E. SYSTEM actually corrects the maladies after it detects them! All of the (or perhaps I should say, most of the) basic hospital equipment monitors or takes a snap shop of the body's state of health at a moment in time.Then, chemicals are usually introduced into the body in order to correct the problem.If the allopathic therapy doesn't work, then intrusive surgery is next. So these expensive machines do nothing more than detect the health problem and then another set of expensive machines along with chemicals (drugs) are used to (hopefully) correct the malady. Bioresonance, of course, is quite different! In the case of the L.I.F.E. SYSTEM, it is very common to discover a potential health problem long before one of the "more expensive" monitoring devices.And more importantly, the L.I.F.E. SYSTEM can deliver the frequencies necessary to correct the situation before allopathic therapies could even be prescribed.And best of all, there are no chemical side effects from introducing biofeedback as a therapy. So, why the long explanation about something that many of you are already aware?Because - in the bioresonance community, the cost of these "miracle machines" seems expensive.Yeah, I know, doctors make so much more money than holistic health professionals. However, it is a fact that most L.I.F.E. SYSTEM practitioners can actually set up a complete practice for as little as $15,000 including office furniture, treatment rooms, and computers.It is astounding that the true working therapeutic biofeedback facilities actually cost much less to set up then a "standard" physician's practice.And yet, can produce the same or better results in many cases. The level of monitoring with the L.I.F.E. SYSTEM is certainly deeper and more profound than "standard" medical machinery including allopathic care and patients who receive bioresonant therapies report instantaneous results that seem to last longer than allopathic therapies without the side effects. The most important aspect though, is the cost factor.Most of the time biofeedback therapies are less costly than average allopathic/medical machinery practice charges - even when figuring in the insurance co-payment. The next time someone expresses their dismay at the $12,000 price of the L.I.F.E. SYSTEM, you can counter with, "Do you know how much an MRI machine costs?" And, by the way, it just takes a picture - it can't begin to treat the problem. Please take advantage of the JUNE PROMOTION - maybe you'll win a L.I.F.E. SYSTEM.Wouldn't that be great! Good Luck! As always email me if you want more bruceholms@quantum-life.com That's it for June, I'll look forward to your emails, Bruce. This month, June 1 - 30 we are having one of our most innovative L.I.F.E. SYSTEM promotions ever.So why would we say that winning is everything? Well let's explore how the promotion works for you. Every part of the promotion - wait, what is the promotion? The June Promotion raffle that will have a drawing on July 1, 2006 for a complete L.I.F.E. SYSTEM worth over $12,000.00, two chances to win a complete 24/7 prayer programs valued at $2,200.00, for existing L.I.F.E. SYSTEM owners, One NEW L.I.F.E. SYSTEM Hardware Upgrade valued at approximately $3,000, and cash bonuses for leads and sales closings during the month. OK, now that you know the prizes that are part of the promotion - let's explore the details.Most of all, why would we say that winning is everything? Let's look at your chances based on about 50 entries: that guarantees you a one in fifty chance of a L.I.F.E. SYSTEM first prize win, a one in twenty-five chance of a 24/7 prayer program win (because there are two programs offered in the raffle), and an even better percentage for the $3,000 hardware upgrade. HOW DO YOU GET A RAFFLE TICKET? Host an open house in your home, office, or clinic during the month of June 2006. Invite practitioners, health professionals, clients, friends, and family. Give a FREE DEMO of the L.I.F.E. System to a prospective buyer. For every demo confirmed (L.I.F.E. owners) receive one raffle ticket for the SYSTEM UPGRADE PRIZE. For every LIFE SYSTEM CLOSED SALE before June 30 receive two tickets. You, as the Host of the event, can receive a $250 cash incentive for every closed sale coming from your event until 12/31/06. You may also receive a commission on closed sales that are referred to Quantum-Life LLC by 12/31/06. But what if you are not a L.I.F.E.SYSTEM owner/practitioner? Just receive a L.I.F.E. demo or attend an open house promotion and you will be entered into the raffle to win The complete L.I.F.E. System. Why is winning everything? Because while you are networking, sharing success stories, creating a closer L.I.F.E. community, teaching about new training opportunities available to better serve you and your clients, and hearing testimonials regarding the incredible L.I.F.E. System results, you will be enjoying the results of "growing" the L.I.F.E. community. WHAT ARE YOU WAITING FOR? 1-877-711-3113 CALL NOW! 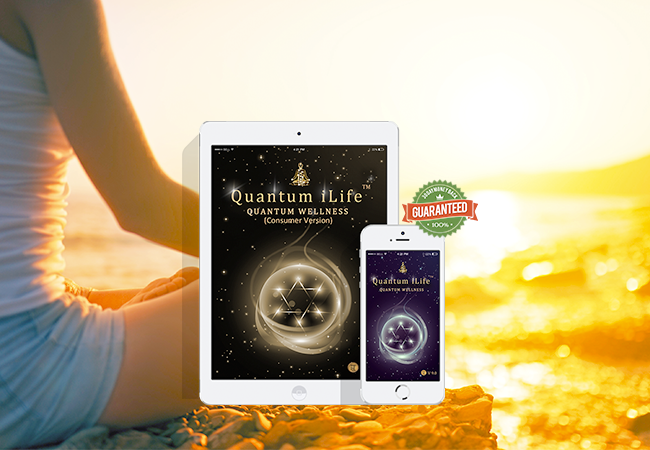 My husband Bobby and I started with the Quantum Life System last September. We originally purchased our system for ourselves and our 6 cats. When people found out that we had the Quantum Life system, they also wanted us to help them and their pets as well. We started working from our back bedroom helping our friends and family, then their friends and families came to us for help also, so we decided to start our own company Quantum Biotics, Inc. We opened our office on February 1st, 2006. Our business grew and I was able to start full time in May and have had a full schedule since. This has been one of the most rewarding experiences I have had in life both personally and financially. I look forward each day to seeing my clients and their furry friends. We all enjoy and are amazed at the great results that we are getting from the Quantum Life System. Our business has continued to grow and we are looking forward to getting another system so my husband can leave his job and start with me full time. Last month we discussed the concept of an editorial in your local newspaper, how important it was to ensure the editorial was a personal experience of the actual journalist. Once you have this write up this can be recycled many times as an actual advertisement. No other advertisement will work better than a personal testimonial from your local journalist! First do you have a website? If not then why not? There is a common misconception out there that your clients don't use email or the web. In our opinion a Web Presence is extremely important. Most of your clientele is through word of mouth. To refer prospective clients to your website is always an advantage. To make an appointment online is even better. Healing is about developing a relationship between you and your client. A website is an expression of who you are. Express yourself via the Web. Let your prospects see who you are! Oh yes by the way our FREE www.biotechpractitioner.com back office currently has 4 template websites for you to use with more to follow soon. You can change these as often as you like~even to suit your moods! Again to maintain constant contact with your clientele is a must. We all know that the difficulty is to ensure you have a returning clientele basis. Did you know if costs 3 times as much to gain a new client as it does to keep an existing client? Let's work smarter not harder! 1. Drop them an email enquiring how they are feeling and to call you should they have any other questions? 2. Perhaps creating a survey asking questions regarding their health and lifestyle. This is another way to maintain contact with your client. Once they complete this survey it provides you with more information on their health. Then it would be a good time to give them a call and discuss the results and your recommendations. Always a great time to suggest a follow up balancing session. 3. Another key component to repeat business is to have them schedule a follow up appointment while they are still in your presence. 4 .Perhaps you offered to do some research on a certain topic discussed. Give them a call and let them know you have just dropped them an email with the requested information. 5. Did you recommend any supplements to them? Have they started taking them yet? Now the key to all of the above is to support them in their process and not "badger" them. Be aware that especially with those who are foreign to taking responsibility for their health may feel guilty or angry when you call them so be gentle. Remember this is a path and you are their guide.